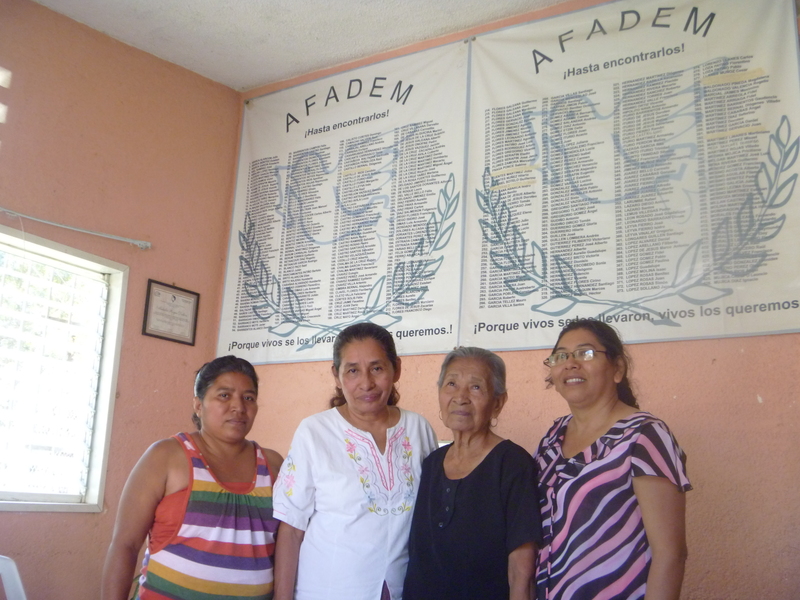 On 16 August 2012 in the city of Acapulco, there was held the official signing of the Cacahuatepec Accords between members of the Council of Communities Opposed to the La Parota Dam (CECOP) and governor Ángel Aguirre Rivero. This agreement stipulates that the government will not support or promote the construction of the hydroelectric dam “La Parota,” which the Federal Electricity Commission (CFE) has desired to construct. This document signals that the government would have to tell President Felipe Calderón Hinojosa of the decision of the campesinos and owners of the land, who reject the sale of territory for the construction of the dam. By signing the document, the governor also commits himself not to use public force against CECOP, instead choosing peace, justice, and respect for the right of campesinos. The act of signing the Accords was witnessed by archbishop Carlos Garfias Merlos, who acted as a mediator between CECOP and the Aguirre administration. Marco Antonio Suástegui, spokesperson for CECOP, said that this represents a historical event, given that after 10 years of struggle, no governor had agreed to sign on to such an agreement. Vidulfo Rosales Sierra, the lawyer for the Tlachinollan Mountain Center for Human Rights who went into exile from the country for some months following his being threatened for his work as a human-rights defender, has returned to Mexico to reintegrate himself into his work tasks, starting on 9 August. 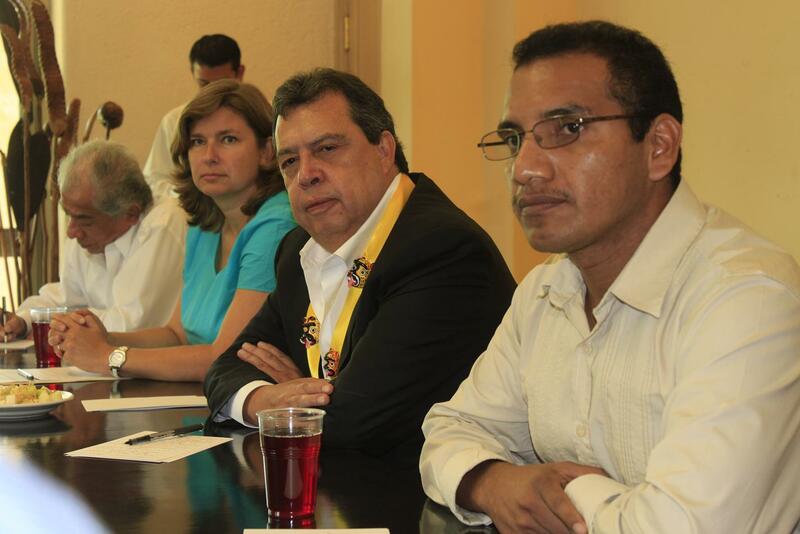 The human-rights defender was in Casas Guerrero to meet with the Governor Ángel Aguirre Rivero; accompanying him were many members of different social organizations, who demanded that the state executive provide protection and guarantees to the lawyer, and above all that the origin of the threats which led him to leave the country be investigated. Aguirre Rivero spoke of granting Rosales guarantees and protection, but he did not specify of what kind or starting when. In May the lawyer had to leave the country for the death-threats he had received. Members of the Council of Ejidos and Communities Opposed to the La Parota Dam (CECOP) responded to the official silence on the part of the governor of Guerrero, warning that La Parota would not proceed, “be it with or without the signature of the governor.” In their communiqué released on 19 March, they revealed that they will undertake a series of mobilizations to demand the total rejection of the dam. On 7 May of last year, Governor Ángel Aguirre Rivero visited the bastion of the movement that opposes the dam. He rejected at that time the suggestion that he sign the Cacahuatepec Accords which request the total cancellation of the federal project. His signature was to be had on 11 March of this year in Aguacaliente–a meeting which the governor failed to attend. “CECOP’s invitation to the governor to demand the Cacahuatepec Accords was met with silence,” noted the opponents in their communiqué. CECOP views this rejection by the administration as a “challenge and a lack of respect” for the movement, as well as a lack of political vision, because “no dam or mine constitutes development for the state or the country. Besides, they are financed with foreign capital that seeks profits, as would be the case with the La Parota dam and the Canadian mining projects.” They warn that if the governor does not want to defend the land of Guerrero, CECOP will do so by means of mobilizations. CECOP announced its plan of struggle against La Parota, which includes a march on 23 March that will be attended by Communal Action for Peace and Unity, as proposed by the Catholic Church. Similarly, there will be held a mass-march in May to demand the cancellation of the project. 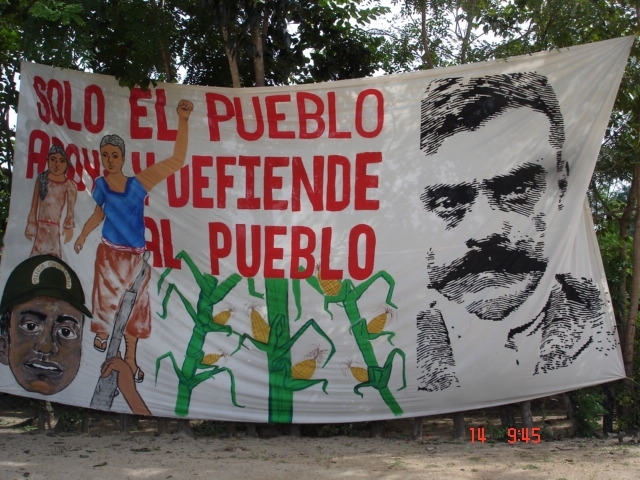 On 3 March, Valentin Hernández, juridical assessor for the Regional Coordination of Communal Authorities (CRAC-Communal Police) announced that together with other indigenous persons of other states, they will present before the Permanent Tribunal of the Peoples (TPP) a case for the rejection of mineral exploitation in communal lands. This resource will be submitted in light of environmental destruction, one of the 7 subjects that the TPP will cover. It denounced that municipal leaders and communards of the Mountain and Costa Chica regions continue to be pressured to accept the presence of mining companies in their lands. It announced that on 24 March, in the community of Tilapa, Malinaltepec municipality, there will be celebrated an urgent meeting to define the plan of action to continue. In other news, the Council of Ejidos and Communities Opposed to the La Parota Dam (CECOP) has newly demanded that Governor Ángel Aguirre Rivero sign the accords of Cacahuatepec with which CECOP seeks to have the state Executive commit himself to definitively cancelling the La Parota dam project near Acapulco. It is expected that Ángel Aguirre will arrive on 11 March to the Aguacaliente community, in the communal lands of Cacahuatepec. In other news, Marco Antonio Suástegui Muñoz, spokesperson for the Council of Ejidos and Communities Opposed to La Parota (CECOP), has denounced that the Federal Electricity Commission (CFE) has initiated work to measure space related to the the La Parota project in the zone of the communal lands of Cacahuatepec. “It would seem that they are measuring a line, a breach, through which a high-electricity line would pass from the area in which the dam would be located,” noted Suástegui Muñoz. He said that there exists fear among the opponents to the project because the federal government has earmarked 750 million pesos for the hydroelectric dam in its 2012 budget. For this reason CECOP will organize to prevent the work from being undertaken. On 17 November, Juan Marcos Gutiérrez, Secretary of Governance for functions, and chancellor Patricia Espinoza led a public act in Atoyác de Álvarez that recognized the responsibility of Mexican State in the forced disappearance of Rosendo Radilla Pacheco, which occurred in 1974, in observation of the sentence dictated by the Inter-American Court on Human Rights (IACHR), an act from which were absent his relatives who for 37 years have sought justice. 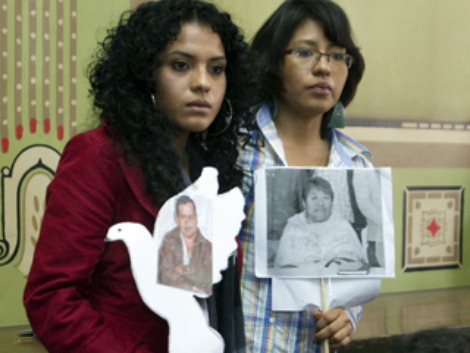 “Due to the pressured and unilateral manners in which the Secretary of Governance has communicated with representatives of the Radilla family–the Mexican Commission for Defense and Promotion of Human Rights (CMDPDH)–to report that the public apology would be carried out the following day, the Radilla family, its representatives, and the Association of Relatives of the Detained and Disappeared in Mexico (AFADEM) decided not to attend the event,” noted Julio Mata Motielo, technical secretary of Afadem, on 16 November. During the act, governor Ángel Aguirre Rivero took the opportunity to announce the creation of a Truth Commission that is to investigate the human-rights violations committed in the state during the decades of the ’70s and ’80s. In other news, news has been released noting that in light of the growth of demand for energy in the state of Guerrero, the Federal Electricity Commission (CFE) is considering accelerating the construction of the hydroelectric dam La Parota, aiming for it to become operational in October of 2016. The present administration of Ángel Aguirre has sought better relations with the communards, but his position is that the project will be carried out. The main reason for its approval is that beyond supplying energy to the whole state, the dam would also guarantee drinking water for Acapulco. 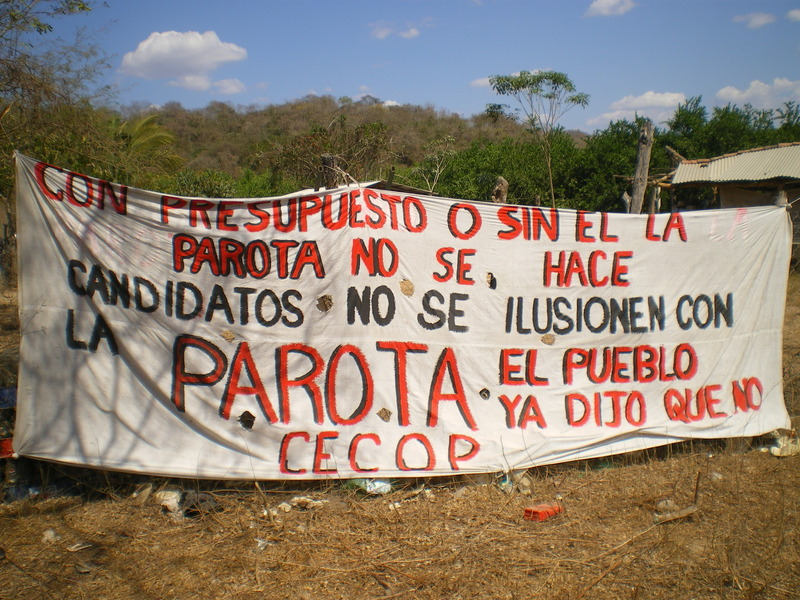 The communards opposing the project, associated with the Council of Ejidos and Communities Opposed to La Parota (CECOP), are not convinced about the supposed benefits of the dam, and they have already succeeded in maintaining the project in suspension for the last 8 years. On 6 October, the federal government and Guerrero state-government announced the launching of the Coordinated Operation “Secure Guerrero,” in an intention to respond to the grave security crisis lived in the state. 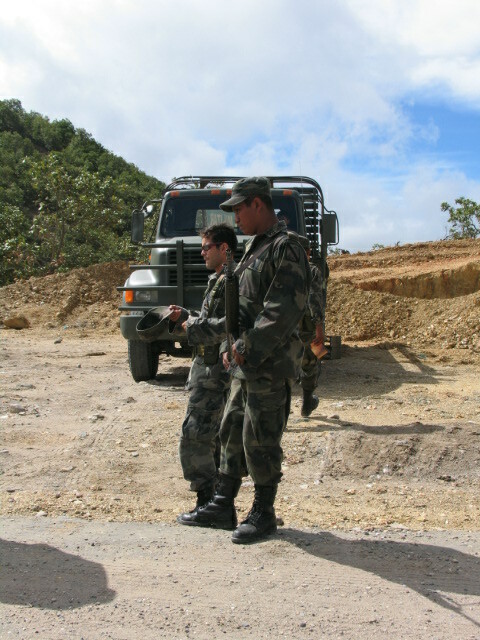 In accordance with the little information to date made public, the new joint operation implies the deployment of 2000 soldiers in the state, including one thousand from the Army, 300 from the Navy, 650 from the Federal Police, and 50 from the Federal Attorney General’s Office (PGR), in addition to the thousand state police and 500 others who will be incorporate into service in November. In other news, on 13 October, the Council of Ejidos and Communities Opposed to the La Parota Dam (CECOP) requested that federal representatives reject the demanded budget for the Federal Electricity Commission (CFE) to construct the La Parota dam in Acapulco. The organization reiterated its proposal that the resources of this year that would be destined to La Parota instead be utilized to construct a bridge that would unite 47 communities, a bilingual university, and a regional hospital.